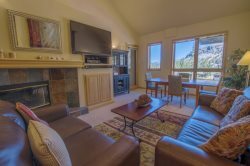 Why use Pyramid Peak Properties for your vacation home rental? Have you used other vacation rental companies? If you have, then you know that the bigger property management companies could have up to 300 properties on their program. As a result, you may have felt as though you and your property are just another property code in their system. If you’ve never used a vacation rental company, than you’re in for a treat. Pyramid Peak Properties is a family-run company that knows all of their owners by name. Our attention to detail is surpassed by none in our business. We take that call from a guest at 1:00 am when a sink is clogged. We don’t trouble you unless it’s absolutely necessary. And when it is necessary, we give you plenty of options. Your vacation rental runs through our company like a self-reliant home because behind the scenes we are meticulously taking care of even the smallest detail to make sure every owner and guest has a positive and memorable experience. Because all our properties are keyless entry, there is no front desk, no keys and your home is accessed using an electronic door code. Every guest receives a unique code upon booking. This eliminates the security risk of keys being lost. Without a front check-in desk, this gives our staff valuable time to attend to your property and the needs of our guests. Your thermostat and door locks are controlled by us, which can be accessed remotely via computer. This is a way for us to keep your home’s energy bill down and also a way for us to monitor who enters your home at all times. No matter where our staff is, a guest will never be locked out or without heat. This is just a fraction of how closely we monitor your property to provide reliable, consistent and committed service. We invite you to meet with us to provide an assessment of what your investment could earn and how easy it will be for you since we take care of all the details. We will design a personalized service program that fits your needs and budget. The main goal is to keep it simple and affordable so you spend your time recreating and relaxing instead of managing. Even if you just want to talk and ask questions, give us a call any time. We are happy to answer any questions about our rental process that you may have, 877-659-9376. A competitive market analysis is conducted on a regular basis to provide our owners up to date information on rental rates. This practice keeps us competitive and your property rented. We have KeyData Dashboard analysis available to see our own progress as well as compared to our competitors. Each property is maximized to it best potential using supply and demand, weather conditions and owner input. Basic Services: Booking short-term vacation rentals includes on-going marketing to potential renters, paying rental taxes, any expenses incurred, cutting monthly income checks to owners, inventory, inspection and basic security. Beyond the Basics: Additional deep cleaning, management of sub-contractors or maintenance repairs, wood service, yard maintenance, icicle and snow removal, to mention a few. Having a party? We can arrange for catering, grocery shopping, bartending and clean-up services. Not only can guests search and book reservations online designed to increase rentals, but the owner can log in too. An owner can reserve their days to enjoy their own home anytime. In addition, an owner can view their statements at the end of each month, complete with direct deposit. I have been very happy with Pyramid Peak Properties. They are great with communication, so I always know what is going on. The best part for me are the online tools, to be able to see all rentals and to schedule the times I will be using the property myself. Joan and her team are amazing. I trust them completely and they are very responsive and reliable. As long time insiders, they know the ins and outs of Kirkwood better than anyone. For a remote owner like myself, Pyramid Peak Properties has been invaluable. For the past five years Pyramid Peak Properties has managed our property in Kirkwood and we couldn't be happier. Prior to working with Joan, Jon and Molly we had several bad experiences with other property managers so we know both sides of the coin. The "hands on" treatment you receive is top notch and every year PPP adds new features and amenities to their system that make it easier and more convenient for the property owner. They've earned 5 Stars in my book! It is very exciting to do business with Pyramid Peak Properties. We've been working with Joan for many years and find her professional, competent and always comes through. My wife and I have known Joan for the last five years after we got to know her through a real estate transaction. We both consider her to be trustworthy, reliable, and very thorough. We would recommend her highly and without reservation to anyone seeking help with homeowner rental services. I wanted to thank you for all of your time and service over the last few years... I REALLY wish we had come to Pyramid Peak Properties sooner. I hope the new owners take advantage of all that you have to offer. Again, I can't say enough good things, and we will most definitely use you guys for our next Tahoe vacation. Joan, again, thank you for the professional management and honorable relationship you have maintained with me over the past year. It has been most welcome and one of only a few a bright spots in my Kirkwood relationships. Pyramid Peak is our most trusted partner in Kirkwood. Not only do they do a fabulous job marketing our high end condo as a rental, they take care of the unit as if they owned it themselves. They are an incredibly responsive, reliable, and competent property management team, and I can always get hold of someone in an emergency -- like getting locked out in the middle of a snow storm!